Against British RAF night penetration, the Luftwaffe developed both single—and twin-engine aircraft, but the latter soon became the basic equipment of the night fighter-force. The Second World War indeed saw the development of night fighting in the sky. From a very imprecise hit-or-miss art using rudimentary equipment in hastily converted airplanes pioneered by Great Britain between 1940 and 1942, German night fighting became a refined science, using highly developed tactics in purpose- built aircraft equipped with sophisticated detection devices (radar) and appropriate weapon systems (e.g. upward-firing cannons). 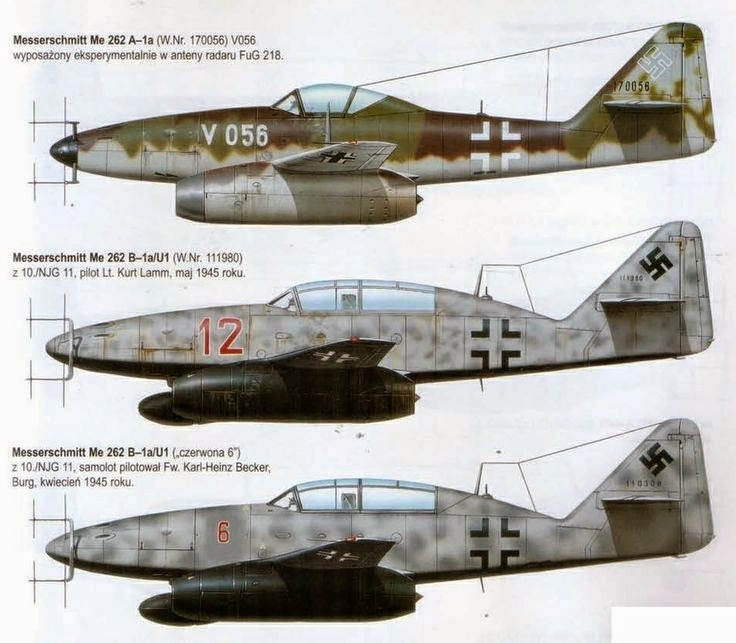 Not surprisingly, with so many RAF heavy bombers operating almost every night over occupied Europe and Nazi Germany during 1942–1945, Luftwaffe ingenuity produced highly efficient night-fighter adaptation of the Messerschmitt Bf 110 and the Junkers Ju 88, and the development of the Heinkel He 219. German night fighters operated in freelance independent hunts or guided by radio from a ground station with target locations determined by airborne radar. They could also carry out night intruder attacks against returning Allied bombers on or near their bases as they prepared to land, as well as strafing strikes against airfields in England. No. 100 Group RAF was a pioneer in countering the formidable force of radar-equipped Luftwaffe night fighters, utilising a range of electronic 'homers' fitted to de Havilland Mosquito fighters which detected the night fighter's various radar and radio emissions and allowed the RAF fighters to home in onto the Axis aircraft and either shoot them down or at the very least disrupt their missions against the bomber streams. Other Mosquitoes would patrol around the known Luftwaffe fighter airfields ready to attack any landing night fighters they came across. This constant harassment had a detrimental effect on the morale and confidence of many Luftwaffe crews, and indirectly led to a high proportion of both aircraft and aircrew wastage from crashes as night fighters hurried in to land to avoid the Mosquito threat (real or imagined). During 1944-5, the Mosquitoes of 100 Group claimed 258 Luftwaffe aircraft shot down for 70 losses. The gradually increasing threat from the RAF fighters also created what the Luftwaffe crews nicknamed 'Moskito Panik' as the night fighter crews were never sure when or where they may come under attack from the marauding 100 Group fighters. Top Mosquito ace with 100 Group was 85 Squadron's Wing Commander Branse Burbridge with 21 claims 1944-45. Night fighter ace Oberleutnant Kurt Welter claimed 25 Mosquitos and two four-engine bombers shot down by night and two further Mosquitos by day flying the Me 262. Most of Welter's claimed night kills were achieved in standard radar-less aircraft, even though Welter had tested a prototype Me 262 fitted with FuG 218 Neptun radar. Officially Kurt Welter was credited with 63 victories in 93 missions, of which 56 victories were achieved at night and seven by day. Among his claimed 63 victories are up to 33 Mosquitos. 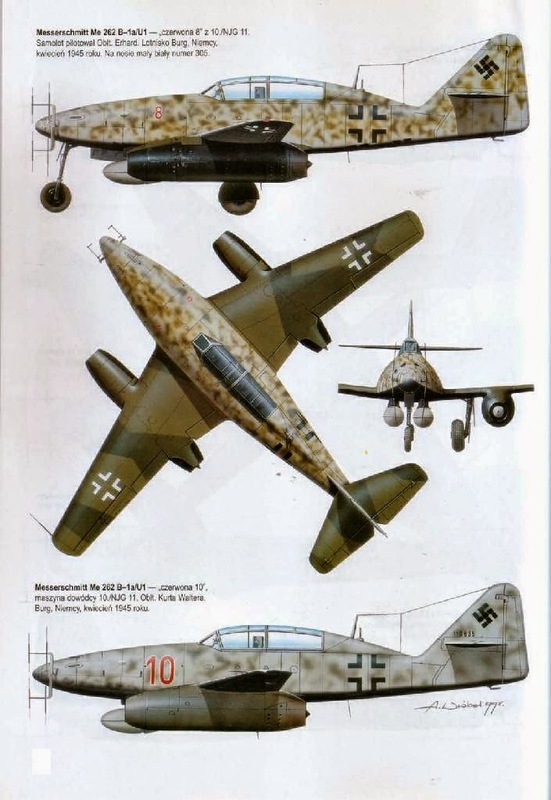 Thus, there remains some controversy about the exact number of victories achieved while flying the Me 262, with only three of the Mosquito kills coinciding with RAF records: Welter may have been guilty of overclaiming Welter survived the war and was killed on 7 March 1949 in Leck in Schleswig-Holstein waiting at a level crossing, when logs falling from an improperly loaded passing train crushed his car.